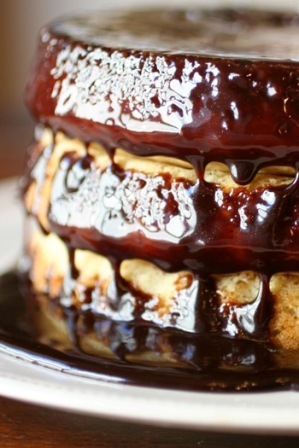 This Buttermilk Cake with Chocolate Sauce is the cake everyone in our family asks for on their birthday. We’ve turned it into theme cakes–everything from a flat sheet cake that was turned into a monster truck cake for my son’s 3rd birthday, to a princess cake for my daughter when she turned 4 years old. 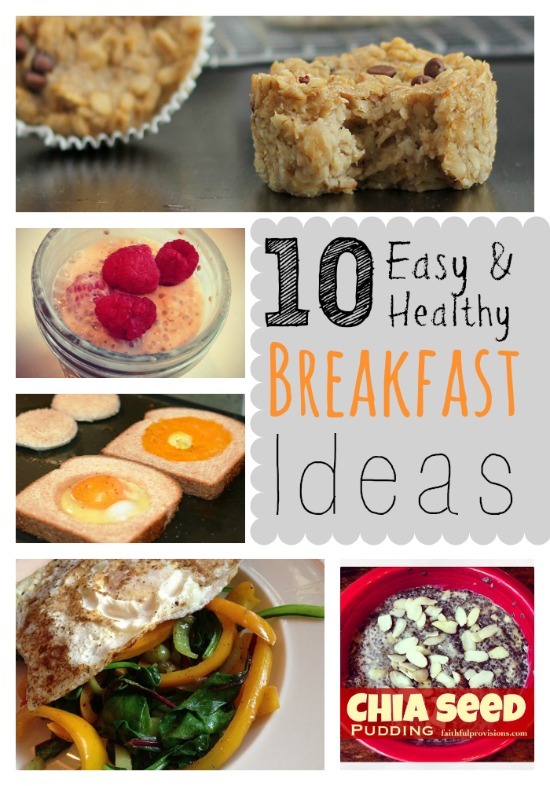 Be sure you have at least an extra gallon of milk on hand! 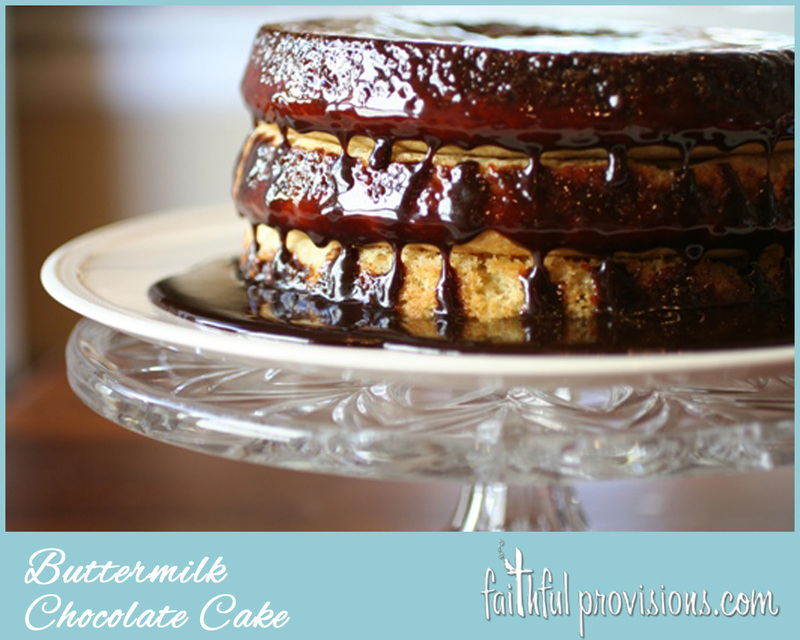 This cake is so rich and decadent that it needs something refreshing to wash it down. I get lots of requests for this recipe whenever I serve it. It’s a family recipe that goes several generations back, handed down through my namesake, my Grandmother Kelly. I wouldn’t modify this recipe AT ALL, well, except to make extra sauce, he he :). COOK’S NOTE: You can change 2 1/2 cups of all purpose flour into self-rising flour when you add this to it: 2 1/2 teaspoons baking powder + 1 1/4 teaspoon salt + 3/4 teaspoon baking soda. Find a complete list of substitutions you can make with my FREE Downloadable Ingredient Substitutions List HERE. 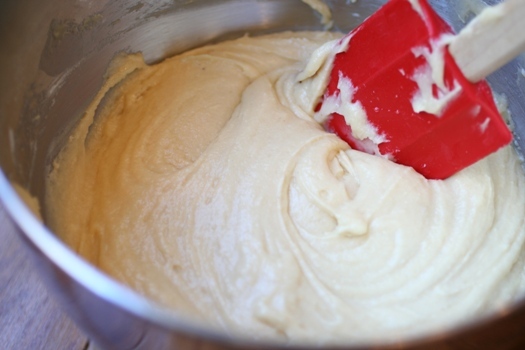 In a stand mixer (or using hand mixer) cream together sugar, butter, and vanilla for the cake. Add eggs, beating well after each addition. Then slowly add buttermilk and flour, alternating. 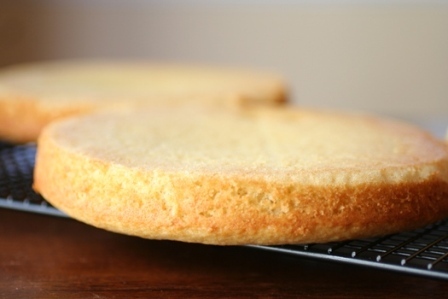 Your next step is to pour the batter into 3 round 8-inch cake pans lined with parchment paper, or buttered and floured. However, I think it is critical to line the bottom of the pan with parchment paper so that the cake won’t stick. 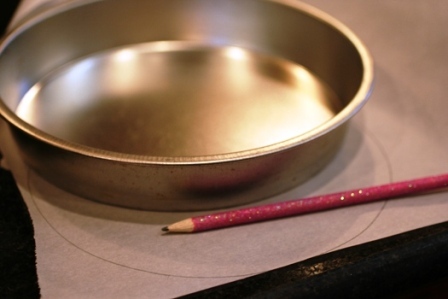 The easiest way to do this is to lay the pan on top of the paper, then take a pencil and outline the bottom of the pan. Then cut and place inside the pan. Bake at 350 degrees for about 20 minutes, or until golden brown. 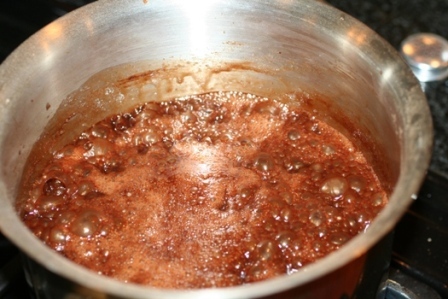 For the sauce, mix together sugar and cocoa. Then whisk in milk and vanilla, and add butter. Stir over medium heat until slightly thickened. Pour warm sauce over each layer of the cake (including the bottom), and then pour remaining over the top letting it drip over the sides. Be sure to use a large round cake plate. 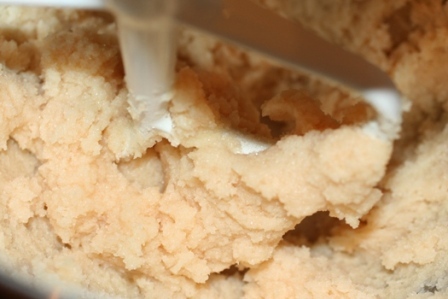 In a stand mixer (or using hand mixer) cream together sugar, butter and vanilla for the cake. Add eggs, beating well after each addition. Then slowly add buttermilk and flour, alternating. 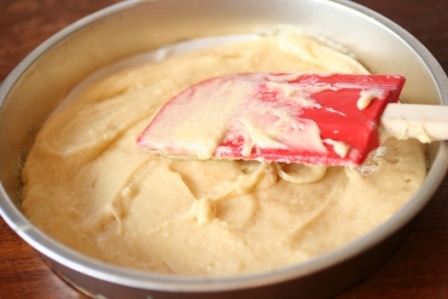 Pour batter into 3 round 8 inch cake pans lined with parchment paper or buttered and floured. Pour warm sauce over each layer of the cake (including the bottom), and then pour remaining over the top letting it drip over the sides. 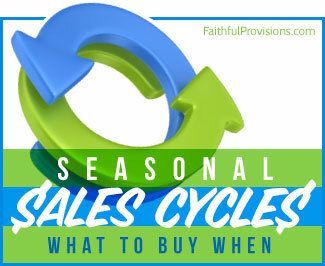 ** Be sure to use a large round cake plate. Wow- Kelly! This sounds amazing! I can't wait to try it 🙂 THANK YOU for sharing! 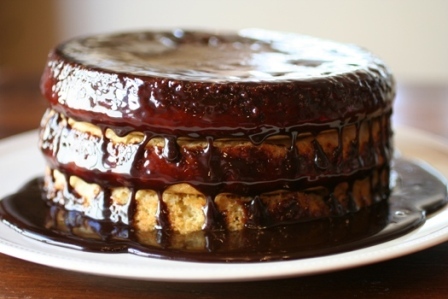 I may make this on Friday for my husband’s birthday – looks yummy! I guess it is best if made the same day it is served, and then do you refrigerate the leftovers since there is milk in the icing? I am often unsure about when to put desserts in the fridge – I guess most can stay at room temp for up to 24 (or maybe 48) hours then should go in the fridge depending on the ingredients. Do you melt the butter before stirring it into the sauce ingredients?